Process capability and machine capability function in two completely different areas. Process capability relates more to products and production processes, while machine capability focuses on the machines themselves. Process capability is a statistical movement and an evaluation of a product and its production. The goal of a process capability is to determine if a product and its manufacture can be possible or sustainable. Process capability is heavily reliant on data, specifically graphical data that can be input into specialized software that tracks the progress of the product from the product plan to delivery stage. The software creates data from the input with controlled conditions and variables in a 24 hour timeframe. Most of all, process capability is a tool for decision making. A product can be evaluated or cleared for production stage, can be subject to various modifications, or can be cancelled for production. the costs and profits needed for business purposes. A product starts as a product plan or proposal wherein the client makes a particular product. The client tries to build the product according to its specifications and sends it to a project engineer who will then perform the trial study and the process capability tests. 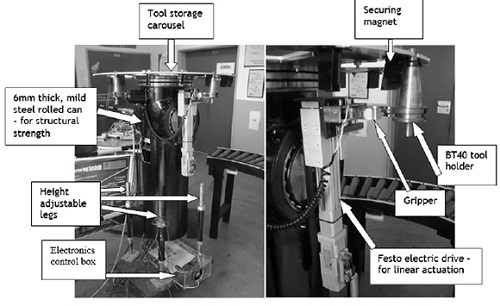 After the testing, a product evaluation is done if the product is feasible for mass reproduction and manufacturing. If not, the product can undergo revisions or cancellation. The process capabilities also help determine the final price on the product and can extend its examination to the packaging and delivery stages of the product. A process capability can include batch tests, a process by which it examines varieties between products. Meanwhile, machine capability refers to the capacity parameters of a certain piece of machinery. The parameters include the amount of load or raw materials, the maximum output of the machine, the machine’s speed of production, and the length of time between services. The most important capacity in any machine is the production speed because businesses, and by extension, machines operate in doing all tasks in the least possible time. Any lag in speed will affect the production line. Manufacturers of machines usually list all of a particular machine’s capabilities in the user manual, but it is also prudent to check with a third party machine capability test in order to acquire the best quality machine for a job. Another benefit of a third party inspection is to reveal the real capabilities of the machine and to detect mechanisms that can prevent future problems. Machine capability can be enhanced by machine accessories and alternate parts. Process capability focuses on the whole process of delivering a product from conception to delivery routes, while machine capability centers on the machine and its ability to deliver on the production process. Process capability is basically an evaluation of any product or its process, while machine capability is the same, ,but it centers only on a particular machine. Process capability can be determined by using specialized software, whilst machine capability is determined by its manufacturer or a third party evaluator. Process capability is heavily reliant on data, while machine capability is dependent on performance. 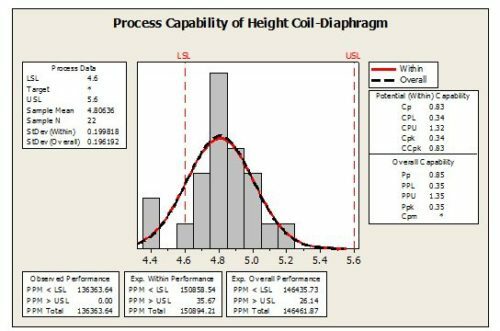 Process capability is not biased, while machine capability can be biased, especially on the part of the machine’s manufacturer. Process capability is part of a product’s development, while machine capability is an evaluation for buying purposes. Celine. "Difference Between Process Capability and Machine Capability." DifferenceBetween.net. May 21, 2017 < http://www.differencebetween.net/science/mathematics-statistics/difference-between-process-capability-and-machine-capability/ >.